Art Izquierdo, Abraham Quintanilla Jr. 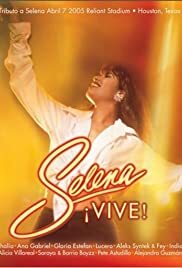 The performances at the Selena Vive' concert were very good, with Latin stars from various musical backgrounds giving new unique interpretations to songs Selena made famous. The three-hour show at the Reliant Stadium in Houston illustrated how devoted and excited Selena's fans are. The performances offer an unusual insight on the impact Selena's music has had on the Latin music scene. The DVD version of the concert, however, leaves out significant portions, most notably those of the Kumbia Kings, Paulina Rubio, Ana Barbara, Olga Tanon, and many of the tejano and norteno groups, including in their place some Selena videos. An excellent concert, only partially preserved on DVD.